I’ve been exploring upcycled Christmas baubles and ways to turn old ones into lovely new ones. You can use old baubles that have lived in the dusty corner of the loft for years, let’s face it we all have those, or I’ve found that charity shops and thrift stores often have a huge selection to choose from. My local St Oswalds store had a whole room full of old decorations, tinsel, old fashioned baubles and even fully decorated trees that people had donated in January. 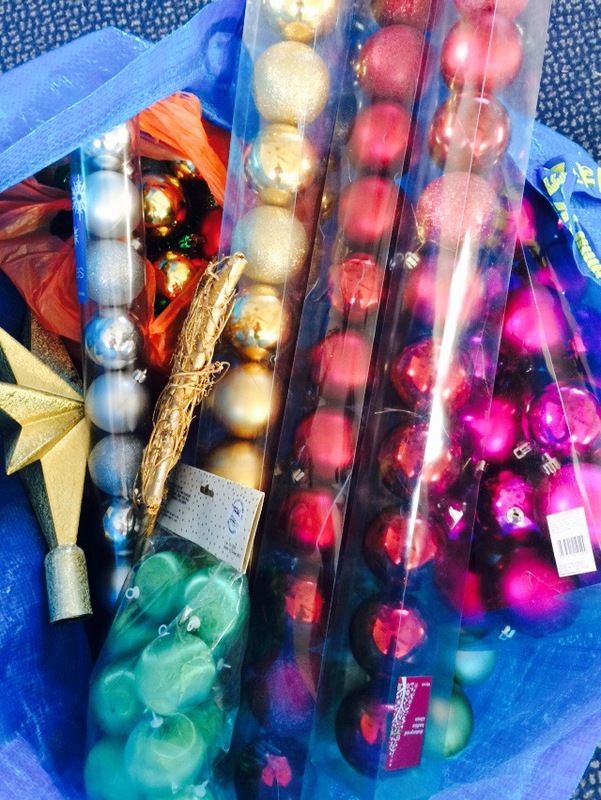 This is a recent haul of baubles, they were boxed and almost brand new! It never ceases to amaze me the things people give away. The majority of these are destined to be upcycled at my Christmas workshops but I tested a few out myself. 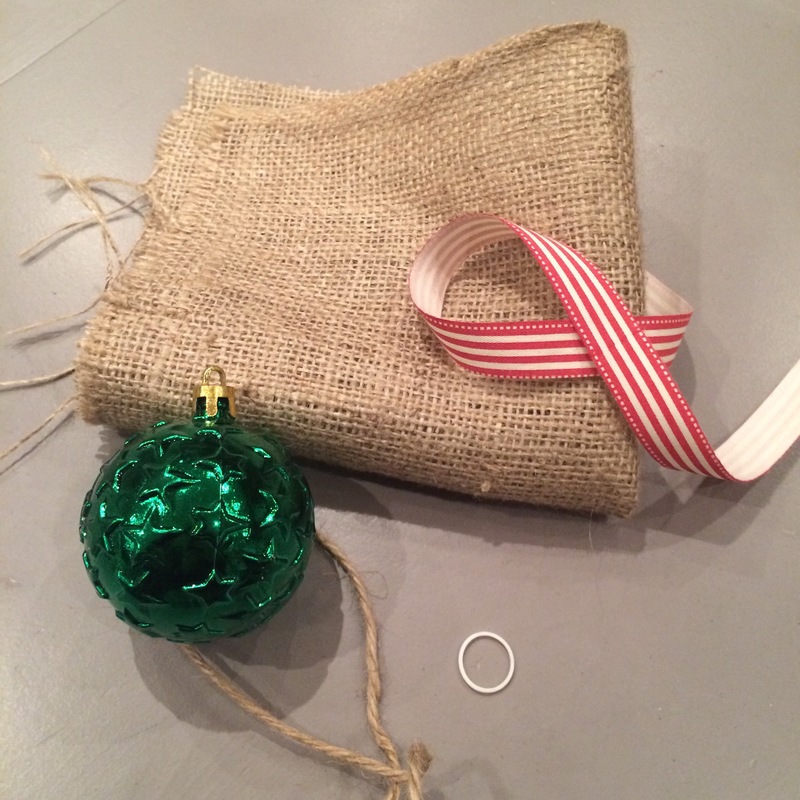 The things you’ll need: one medium sized bauble, a piece of burlap around 12 inch square or any other material if you have any remnants, one loom band, twine, and a piece of ribbon. First of all, tie a new hanging loop with the twine. Next, wrap the burlap around the baubles, neatly folding it around as you go, use the loom band to secure, these are basically tiny elastic bands if you can’t get your hands on loom bands. (My house has approximately 2.5million of them at my last count). 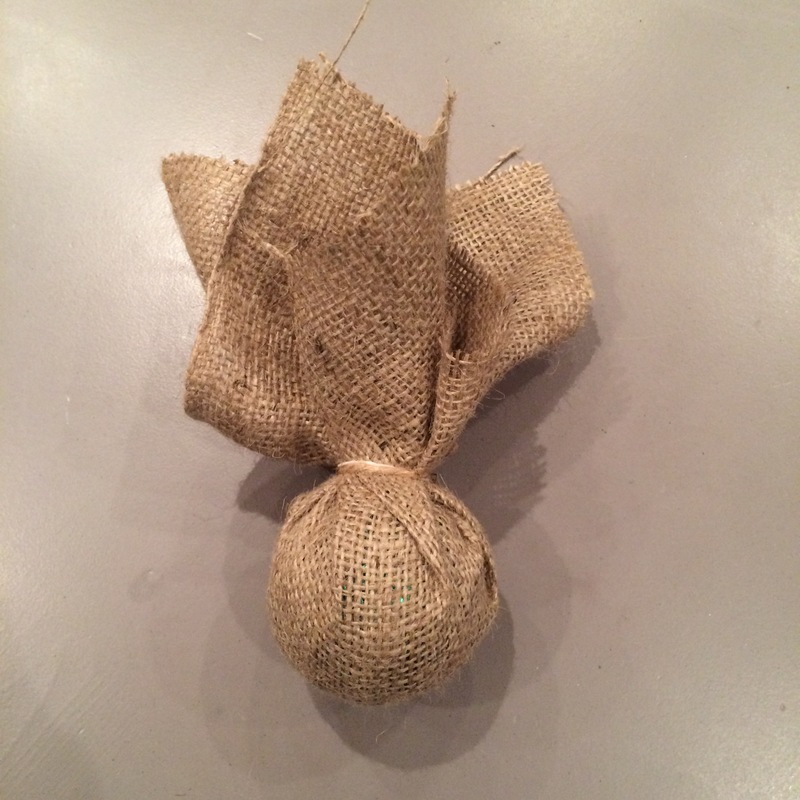 Tie the ribbon around in a nice bow bow or knot of your choice and finally trim the excess burlap to finish neatly, remembering to keep the hanging loop to the side and not cut through it! 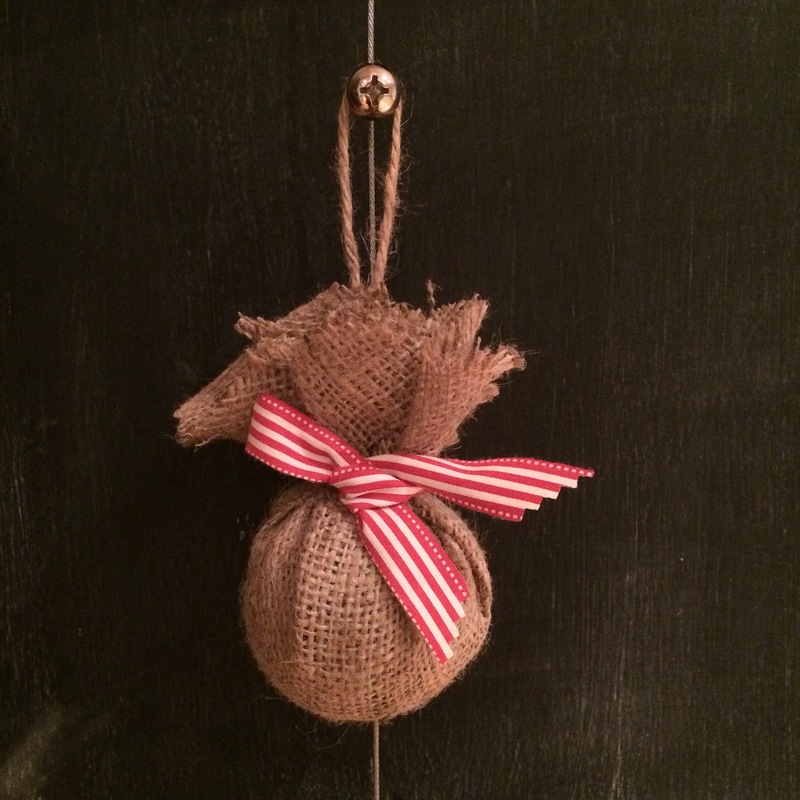 Such a simple update and really on trend with the burlap and red ribbon. Very Nordic. The same method also works with fabric too. Here are a few more examples of old baubles turned into lovely new ones from my recent workshop at Belsay Hall’s Festive Gift Fair. The string wrapped ones are really easy too. Simply cover the bauble in double sided tape then just wrap the string or jute around neatly starting at the top, then use a dab of glue on the bottom at the end, either with a glue gun, ova or even a glue stick will do the same. You can add buttons or ribbons for some nice coordinating details.